OMG! 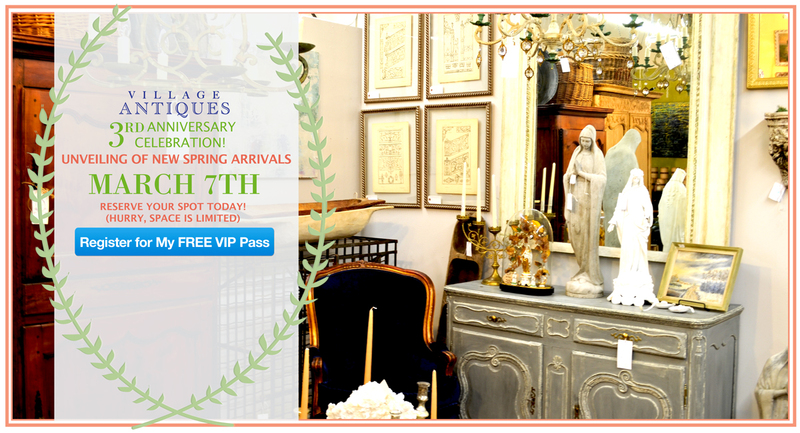 Check out the plans for our Anniversary bash…RSVP today! I know some of you are working towards some big home goals this Summer. How about instant gratification with an easy doable project? 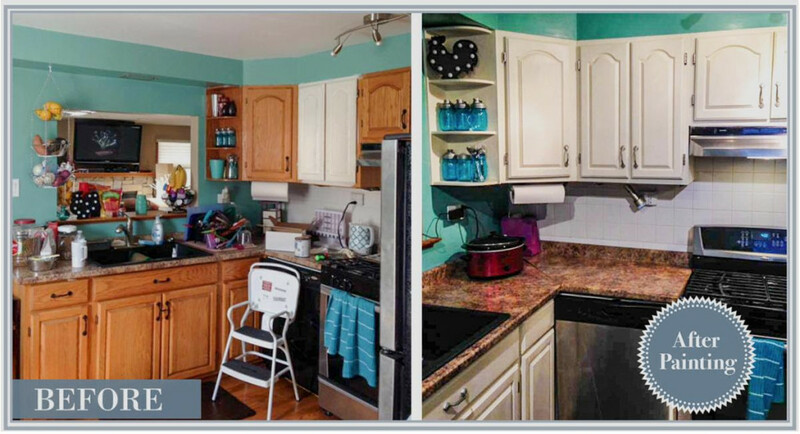 See this amazing before & after by one of our beloved customers, she decided that it was time to upgrade her kitchen and she didn’t hold anything back. When she send us this stunning makeover, everyone at the office was speechless! 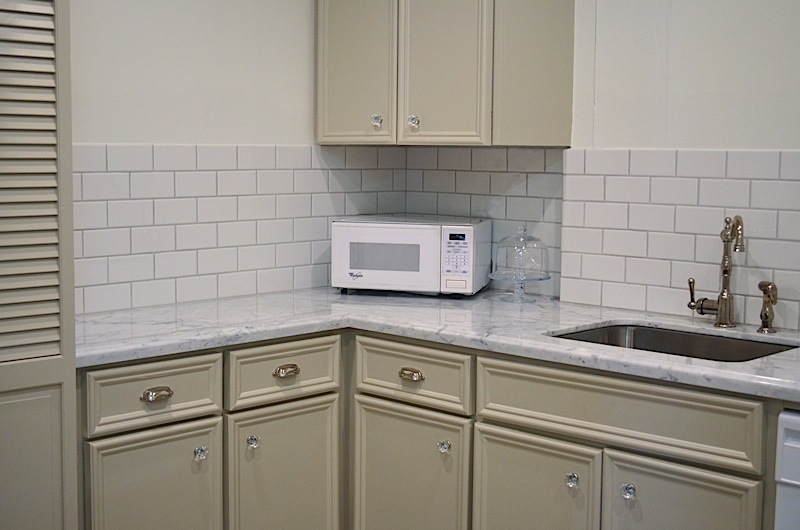 Do you want to do the same with your kitchen? You can get the same results when you learn how to makeover your furniture with my signature Chalk Finish Paint at one of our 4 upcoming workshops! Some classes sell out fast so be sure to secure your spot now before you forget. If you’ve already been to our instructor led classes, be sure to check out our beloved Paint-a-Piece Happy Hour! 1. Beginners Hands-On Workshop– Are you new to chalk painting? Would you love expert feedback while you work hands-on on a smaller project before you dive into that piece of furniture or your kitchen? Then this class is for you! We’ll dive into beginner and advanced techniques that will give your furniture the professional POP and finishes to set it apart from the hobbyists and the amateur look. 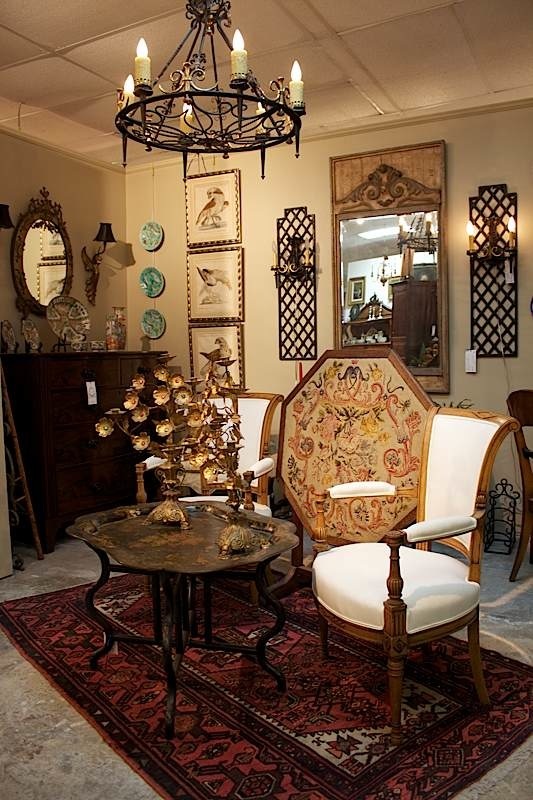 You’ll learn how to paint like a pro, seal for long lasting finishes, and use our antiquing glazes to create furniture that looks antique and expensive…even if it’s brand new or a bargain find. 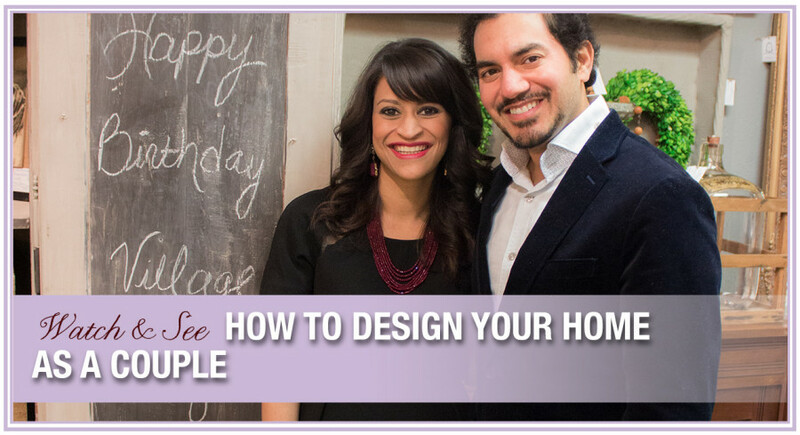 You will learn how to master all our tools and our must have tips throughout the process. 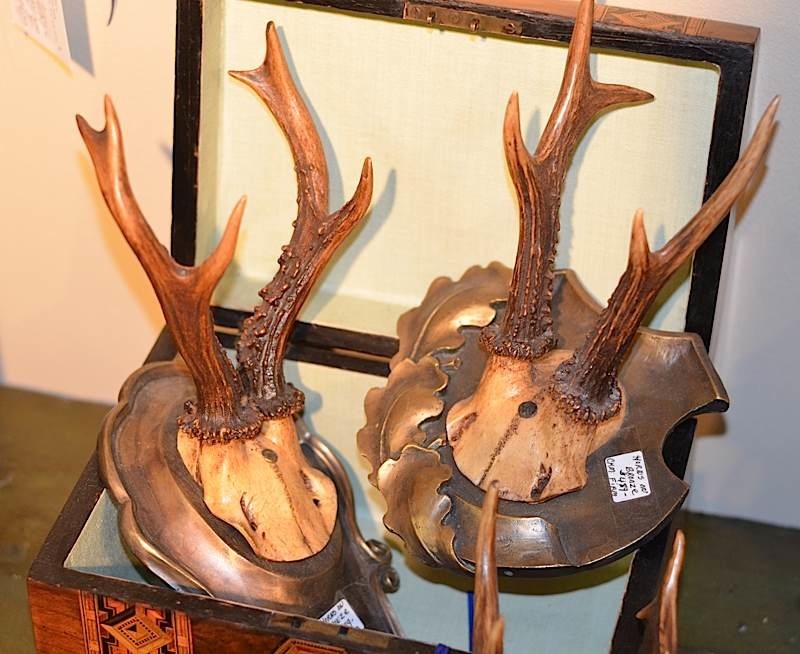 You’ll also be shown the fundamentals of distressing. If you truly want to give your furniture that classic vintage style, then it’s absolutely VITAL you learn how to distress your paint. You’ll leave the class with samples, your very own painted decorative object and the confidence to tackle those bigger projects and know how to do “right”. Plus, you’ll learn 2 bonus tips that we don’t teach any other class! 2. Advanced Hands-On Workshop- Get ready to skyrocket your painting skills to the professional level. 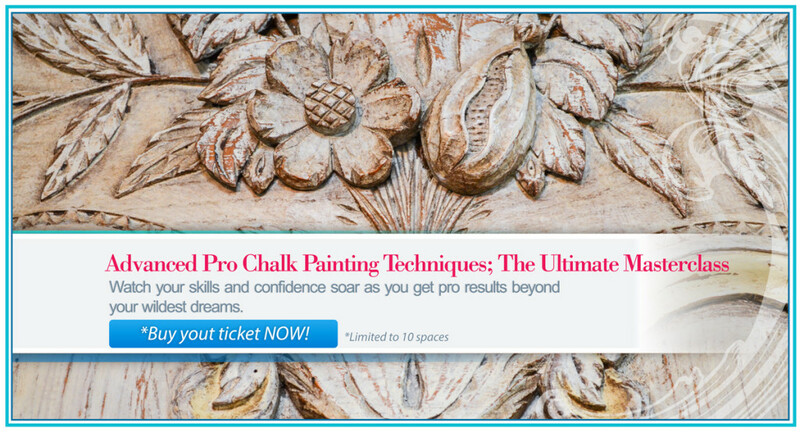 In the pro class, you’ll learn 6 never before taught complicated designer paint finishes! 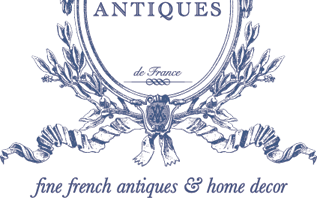 How to recreate the beautiful French Country Style on your own furniture. * It is highly recommended you take the Beyond Basics or the Happy Hour course before enrolling for the Advanced Pro Class. We will jump right into several Advanced Techniques. Plus, you’ll get to leave with samples you can keep referring back to for years to come. 3. 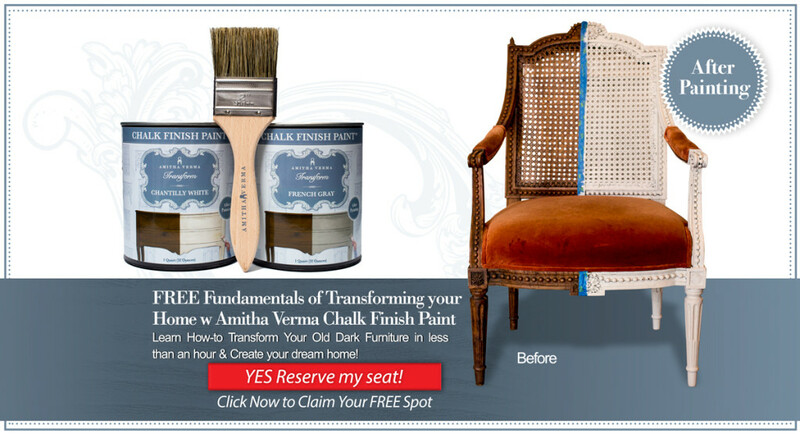 Register for the FREE Fundamentals Deminar – New to the world of chalk furniture paint and want to see what is all about? Then this is the demonstration for you. *Please note this is a demonstration only. If you want a hands-on experience we recommend the next workshop, The Beginners Hands-On Workshop. You’ll learn the fundamentals about our products—everything from our step-by-step process to applying the paint, drying times, how to select colors that work best together, mistakes to avoid, and additional pro secrets and tips. We guarantee that this workshop will let you recreate your favorite designer looks in under 2 HOURS (versus weeks). It’s our most popular option, and what we recommend to beginners. 4. Paint-a-Piece Happy Hour Workshop. Just want to have some fun but still learn a thing or two? 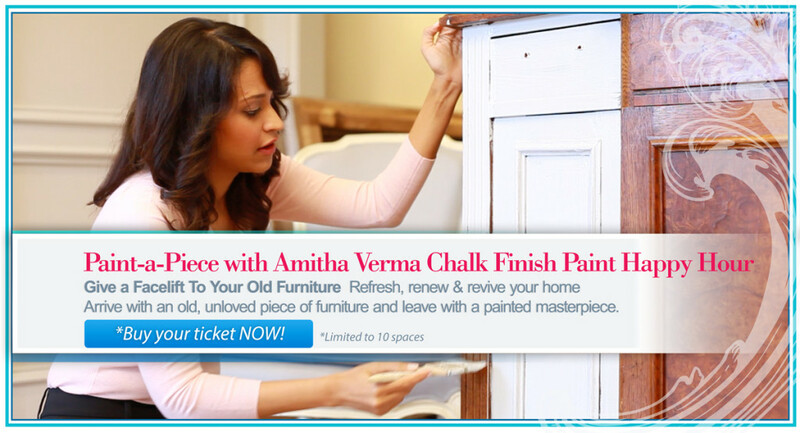 Then come in with the piece you want to paint and a certified Amitha Verma teacher will show you how to paint the right way. You’ll learn how to avoid costly mistakes, we’ll help you with color suggestions, show you how to apply sealer and antiquing glazes like a pro, and give you expert tips and guidance. Bring a friend, make it a ladies afternoon or personalized party event! Perfect for private parties or fundraising events! What’s more, you’ll leave with a finished product! All of our classes are small, with only a handful of people. This means you get personal attention no matter which class you choose.